Crystal is offering exceptional savings on 2014— and early 2015 voyages to Asia aboard the Crystal Symphony. Plus, if your cruise is 11 days or longer you will also receive savings of up to $800 per person in Air Allowance credits. 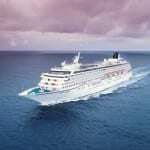 Crystal Getaways: Asia— Indulge on a 5- to 10- day all-inclusive Crystal Getaway cruise with best fares from just $1,520 per person to Asia when you book by January 3, 2014! All Cruise-Only Fares apply to new bookings only as of 11/1/2013, and must be booked by 1/3/2014. All Cruise-Only Fares are per person in U.S. dollars, double occupancy and do not include cruise port, security and handling charges as applicable for each voyage. Featured Cruise-Only Fares apply to category E on Crystal Symphony and category C on Crystal Serenity (all 2013 voyages and 2014 voyages: 4201-4211; 4301-4306) and category E2 on Crystal Symphony and C3 on Crystal Serenity (beginning voyages 4212, 4307 and thereafter). Book Now Fare of $1,520 per person applies to voyage V4204B in category E2 on Crystal Symphony. Air Allowance credits of $800 per person applies to voyages 4228, 5201-5209 on Crystal Symphony. Book Now Savings of $5,800 per person applies to 2015 Full World Cruise bookings (5302-5307) on Crystal Serenity. Cruise must be paid in full 180 days prior to departure to qualify for 2.5% Early Full Payment (EFP) savings. EFP Savings apply to full cruises only, may not apply when select promotional fares are in effect. Optional air-adds are available from Crystal Cruises’ designated gateway cities in the U.S. and Canada, and include all government fees & taxes. Solo Traveler Fares are available upon request. All offers may not be combinable with other promotions, apply to first two full-fare guests in stateroom or suite, are capacity-controlled, subject to availability, and may be withdrawn or changed at any time without notice. For Cruise Fare and Promotional Information click here. For General Ticket Terms and Conditions, click— here. 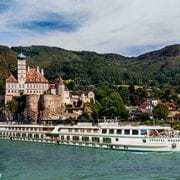 Crystal Cruises reserves the right to correct errors or omissions and to change any and all fares, fees, promotions and programs at any time with or without notice. ┬®2013 Crystal Cruises, Inc., Ships’ registry: The Bahamas. MSC offering employee pricing on Caribbean Cruises! Viking offering savings on 2014 Russia and Ukraine river cruises!